PALMDALE – The Board of Directors of The Palmdale Aerospace Academy announced at their Jan. 30, 2012 Board meeting the appointment of the Headmaster. 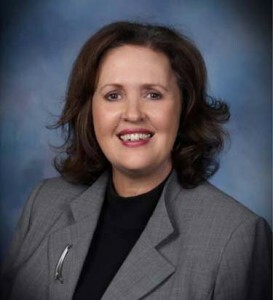 Dr. Laura Herman, currently the Principal of Highland High School was chosen for the position. “We’re very pleased and excited to have someone with Laura’s experience and enthusiasm for this important position. She’s up for the challenge of helping us develop home-grown scientists and engineers that will be needed for the future projects and missions of our aerospace partners,” said James C. Ledford, President of the Board. Dr. Laura Herman has been an educator in the Antelope Valley for more than 20 years. During her 15 years teaching mathematics, she taught math courses at every high school level, from Basic Math through Advanced Placement Calculus. She served as a mentor teacher, a peer coach, and mathematics curriculum specialist. In 2004, Dr. Herman was awarded the Antelope Valley High School District’s Special Service Award for her work with Program Improvement and in designing and implementing a peer mentoring program for teachers. Since entering school administration, Dr. Herman has served as a Vice Principal and Assistant Principal at Quartz Hill High School, and began her tenure as Principal of Highland High School in July of 2009. Dr. Herman earned her Bachelor’s degree from Westmont College and her Doctorate in Educational Leadership from the University of California, Los Angeles. “I am thrilled at the opportunity to lead The Palmdale Aerospace Academy and I am excited about the possibilities,” said Dr. Herman.